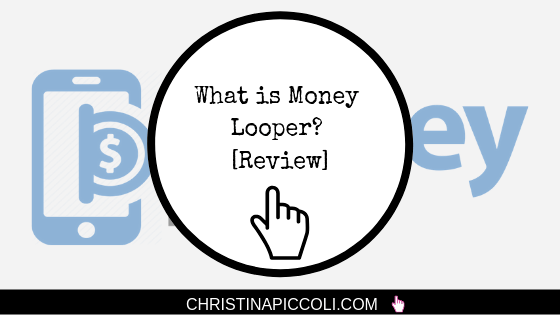 What is Money Looper? Make Millions Automatically with this System? What is Money Looper? Can you really make millions with this? Ha! That’s a good one, isn’t it? My friend Martin of Kindle Sniper sent me this email urging me to check out this new program. He says that this can add $1000 to my bank account immediately. And I have to put forth NO effort! Wow! I can’t wait to check this one out! We’re going to reveal…what is Money Looper? Can you really make money automatically, or is Money Looper a scam? Let’s see in this Money Looper review! Signs are already pointing to this being another product where big promises are made and can’t be kept. You know, the whole “make money with no effort” thing. Yea, I never trust that. I will keep an open mind, but that’s already a big red flag for me. Instead, let me show you the way that I prefer to make money online. 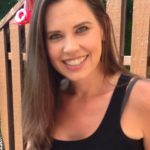 It’s through affiliate marketing, and I have a Free Guide to Making Money Online for Beginners that will walk you through the whole process. 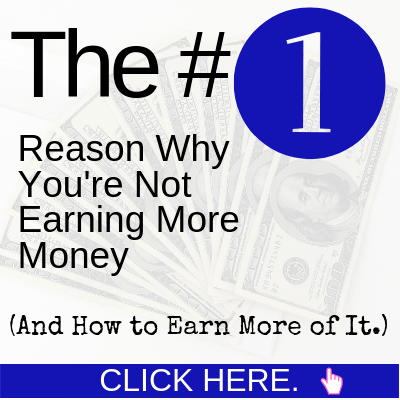 I’ll show you why it’s such a great option and show you how it all works. You can certainly keep reading below. It will probably be a bunch of nonsense, but sometimes these are at least entertaining if nothing else! If you’d rather skip it though and just find a real way to work online, then click the button for my free guide and you’ll be on your way! Click the Button to Get Access to My Free Guide to Making Money Online for Beginners and Learn about the Amazing World of Affiliate Marketing! Here are the areas we’ll explore in this Money Looper review. How Does Money Looper Work? Is Money Looper a Scam or Legit? Owner(s): Mike Thomas (fake name and probably not this guy) or Mike Dee? This isn’t the hypiest sales page I’ve ever seen, but there are some things there. Making millions automatically, again, is a big red flag for me. That’s just not possible! But OK. You never know. Maybe Mike figured out a way to actually make money automatically? Maybe?? If so, sign me up! OK, first, as soon as I clicked on it, this is the same voice as Mike Dee from Rich Janitor. Oh boy. We’re off to a bad start! As I go through the video more, it’s not just the same voice as Rich Janitor, but it’s the same dumb script too! I could just link you over to my Rich Janitor review and my job would be done. But that’s not too fun, right? Let’s keep going! Mike needs your partnership. A real partnership is never a pyramid scheme or anything shady. (Riiiiggghhht. A real partnership is helping “Mike” sell his crappy product.) If you’re hoping to become super-rich overnight, he’d rather you not watch his video. 99.5% of the systems that claim to make you money online are complete scams run by selfish “gurus”. All these “gurus” are just selling hyped-up trash. (Sooooo unlike Mike here, right? hahahaha) The gurus are great at hype. Like a sleazy car salesman. The selfish millionaires will try to stop you from earning money online. They can wipe what you’re doing out overnight. When you make money with this system, you’re helping to stop the greedy gurus out there. It’s in Mike’s best interest to help you succeed. You might be skeptical (nooooo, why would we be??). It’s not every day someone hands you something that legitimately works. Mike introduces himself. Now, in the disclaimer it says the person’s name who owns this is Mike Thomas. But they forgot to change the script because it still says Mike Dee. This isn’t charity. When you’re successful you’re helping Mike stop these “greedy” millionaires from taking over all the money online. It’s a crazy version of Robin Hood! Mike can’t do this alone. Alright, I wanted to go through the whole video, but it’s a waste of my time and your time, because it’s literally the same one I’ve already seen from the Rich Janitor review. They didn’t even change one word. So there’s no reason to go through the whole thing again. Let’s discuss how this works. Of course the videos almost never say how the product works. You just have to go on blind faith that whatever it is, it’ll work for you. I decided not to purchase this product, but from the research I did on Rich Janitor, I know a little bit about what goes on with this one. Assuming this is the same product (which I’m sure it is since they used the same script), Money Looper uses affiliate marketing as the way to make money. Awesome because affiliate marketing rocks! Buuuttttt…. They use outdated methods and methods that just won’t work in order to try to create those affiliate sales. For instance, there’s a bunch of pre-written articles on different topics with your affiliate link embedded. The idea is that you would post these articles on social medial (like Facebook, for instance) and people will share it, it will go viral and you’ll get tons of sales! But think about it. Have you ever seen articles on Facebook that look like a big ol’ ad? Do you ever click on those? Hell no, and your friends won’t either! This will never work. You’ve got to have original content in order to interest people online. Another thing they use is spun content. Their system will take someone’s article, spin it and then kind of “re-write” it in a way so that it’s a little different. This used to work many years ago. Like 10 years ago. This does not work anymore. Those articles never come out sounding quite right, and Google will never rank them because they’re not high quality. Since I didn’t buy the product, I can’t say for sure if it’s a scam or not. I don’t think it’s a scam because you do get something for your money. And perhaps there are even some good parts to the system. However, I still can’t recommend it. Anyway you look at it, it can’t be a great product just based on the fact that they had to re-brand it. If it was so good and actually worked, it would be selling like hot cakes! If you remember, there was also a complaint for Rich Janitor on the Better Business Bureau website. Now, some people just complain. And it’s only a couple in the past 3 years. But it’s still something to keep in mind. I also don’t like that Mike implies that it’s soooo easy to make money with this system that it only takes 5 minutes and it’s all automatic. No, no, no. Even if you’re using the pre-written articles, you still have to get your affiliate link in there, post it to social media, respond to people (assuming anyone would actually comment, but they wouldn’t.) Spun content would still require a place to put them and getting traffic to them. Nothing that you do online – or offline – that’s worth doing is only going to take 5 minutes of your time. Do yourself a favor and get rid of that mindset right now. Anything worth doing takes time, focus and commitment. Just accept it! By the way, do you know when Mike said he would give you $70 if you have doubts? All they do with this is “discount” the product $70. It’s so dumb! The thing is, you have to know how to get set up the right way. You can’t just take a bunch of shortcuts and expect to make it big in this industry. How do you learn how to get set up properly? The way that I did it is through the training platform called Wealthy Affiliate. They taught me how to do everything, from start to finish and I’m still learning new things daily! Wealthy Affiliate has all the tools and training that you need to become a successful affiliate marketer. You can join as a Free Starter Member to see if you like affiliate marketing. I personally love it, but I know it’s not for everyone. But why not give it a try? You could completely change your life. I believe in fate, and I believe there’s a reason you stumbled on this page. Perhaps you were led here for a reason? I don’t know for sure. But it might be good to find out. Once you become a starter member, check out these incredible Wealthy Affiliate success stories. Wouldn’t it be exciting for YOU to be the next success story? Click the Button to Grab Your Free Starter Membership. There’s No Credit Card Required and You Can Stay a Free Member as Long as You Like! 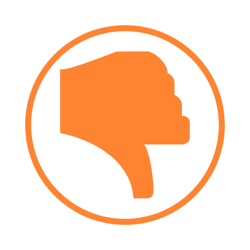 While Money Looper may not be the perfect product to help you make legitimate money online, not all hope is lost! Affiliate marketing is a fantastic way to create a living. In fact, there is a TON of opportunity. In fact, I think it’s the wrong attitude to have to say we should get these “rich gurus” and take all the money from them. No, no, no. We need to learn from those rich gurus (the ones who are doing things the RIGHT way anyway) to see how they’re creating their incomes. There is room for everyone to make a great living. There are something like 4 billion people online. Most of those people are shopping! All you need to do is help them out with what they’re looking for and you can get paid for your help. Again, there’s a way to do all of this. The RIGHT way. That’s the way you want to learn. Don’t take shortcuts. Learn how to do things properly so that you can have lasting income well into your future. Click the Button to Start Your Free Starter Membership at Wealthy Affiliate and Learn the Right Way to Set Up an Affiliate Marketing Website so that You Can Make Lasting, Residual Income. Do you have any questions or comments about Money Looper? Have you used this product or Rich Janitor? What did you think? Leave me comments down below! Thank you for exposing this system for what it really is! By doing so you are saving a lot of people (including me) a lot of anger and waste of time. It’s a funny thing how these system rehash the same system after being exposed on the first one. You did a great job here on really saying it as it is. I will take your advice and stay away! Thanks again! Great, Denis! Glad I could help you. Hopefully others out there are doing their homework before taking out their wallets. You really have to be on your toes these days! Yet again another scam platform which you uncovered, thank you very much for it! I think I will stick with Wealthy Affiliate, since for me it is the best platform you can have, for sure! It is sad that they still find desperate people to join it, and than they get scammed, unfortunately. So really thanks you share this with us, to prevent people for joining it! Thanks for sharing your thoughts! I will continue to stick with Wealthy Affiliate myself. I can learn everything I need to know there and no one is allowed to promote anything, so I know it’s a safe place where I won’t be taken advantage of. That’s rare these days, unfortunately. Great review Christina! I must say that when I see big promises about making $1000+ daily, I don’t believe in that. It is very true that this “gurus” know how to misguide people with their golden promises but I think that folks should pay more attention where they give their money because I know so many people who failed in this trap. I would rather spend money on education then throwing it away. It’s so funny that you call this guy a “guru” since he seems to be so against the “greedy gurus” in the sales video. Yet, this person is doing the same exact thing. Making bog promises and then taking money from people when they know their product isn’t really going to help them. It’s a great idea to spend money on education. I am ALL for that too. But not with these one-off shady products. That will just be a waste of money. I wonder what the person that created this program was actually thinking. To make use of a previous script and even a previous name shows just how messed up these people are. I am sure they actually created a bunch of these and spread it round the internet targeting different locations. Unfortunately some people would fall for this. Only those those that are experienced and more cautions would be able to avoid falling for these scams. I see this happen quite a bit. Something happens with the original product and they just bring it out again. But usually they take the time to change the script and the story! They didn’t even do that with this one. Crazy! It is definitely a big ol’ red flag for me when someone has to re-release a product. If it was as good as they say, they wouldn’t need to do that. Oh, I get it! I’ve been there too. When I was a newbie, I fell for these tricks too just like you did. It’s so easy to fall for the “make money fast with no work” trap. Who doesn’t want money to just fall into their laps? It sounds good! But unfortunately, it’s too good to be true. Thankfully, with the right training and tools, it IS possible to make a great living online. Just gotta stay away from these “shiny objects” in the meantime. Thank you Cristina for your review. After taking a look at Money Looper I would have to agree with you, although you gave it one star which I think is probably one to many. Affiliate marketing is a great way to make money online, but never trust anyone who claims that you will make a ton of money without doing much work. If you want to be successful in affiliate marketing then you will have to work hard, just like if you want to be successful in any other area of your life. I couldn’t even give it one star. I gave this product half a star for not even changing the Rich Janitor script around! And a 1/2 star is pretty generous here. You are absolutely right. I always say that anything worth doing takes time, energy, work and persistence. Making money online is certainly no different.